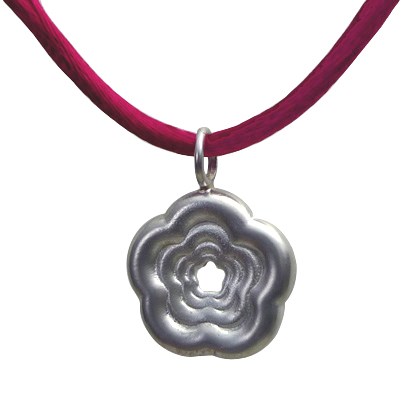 Solid Rosette Pendant (sterling silver): Comes with a colorful satin chain. 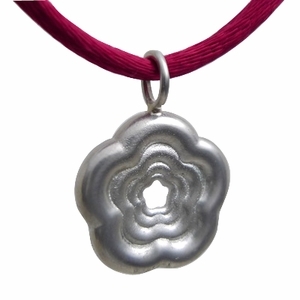 This Solid Rosette is an original design, inspired by Spring... It's crafted from solid sterling silver, with a gentle matte finish. The form echoes the soft organic shapes of a flower, while the bright satin chain captures their colors! See all our Valentine's Day Gift Ideas!